You all know I'm a nail polish geek, I love nail polish, and love having my nails painted either with a regular nail polish or a gel nail polish, at one time I used to always have painted nails and it was very rare for me to have naked nails, but since my health deteriorated I can't always paint my own nails so don't wear polish as often as I'd like to, but I still love buying new shades and especially like to wear gel polish as it lasts for a couple of weeks. The problem with wearing gel polish though, is that it isn't great for your nails, some people say acrylic spoils your nails but gel doesn't, but I find although gel isn't as damaging as acrylic, it still weakens my nails and if I wear a gel polish more than twice in a row, my nails are weak, they peel and break very easily. When I was asked if I'd like to try the Dr Lewinn's Renunail Nail Strengthener £17.50 I had just had gel polish removed and my nails weren't their best, some had broken and they were feeling weak so I had filed them down really short in the hope they'd grow back stronger, the offer of the Renunail was very gratefully received and perfect timing. This calcium enriched award wining treatment product is the ultimate hero in the Dr LeWinn’s line. Promising longer strong nails in just 4 weeks this nail strengthening complex is perfect for weak, brittle, slow growing and prone to chipping nails as an intensive SOS treatment. 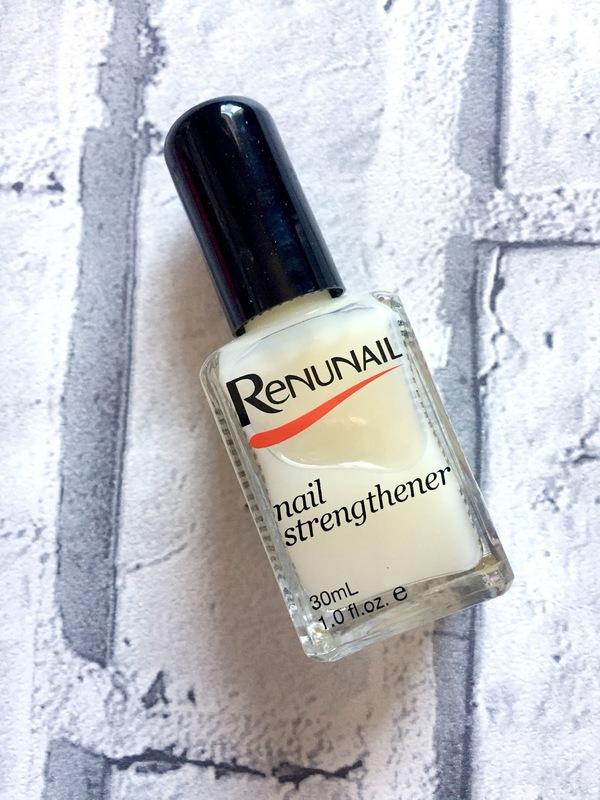 Apply 2 coats of Renunail Nail Strengthener onto clean nails avoiding the cuticle area and then one coat daily for the next 5 days. On the 7th day remove with nail polish remover. Repeat the process 3 times. (Each program lasts for 25 days). Massage Renunail Nourishing Oil into the cuticles after the Nail Strengthener has dried each time you apply a new coat. 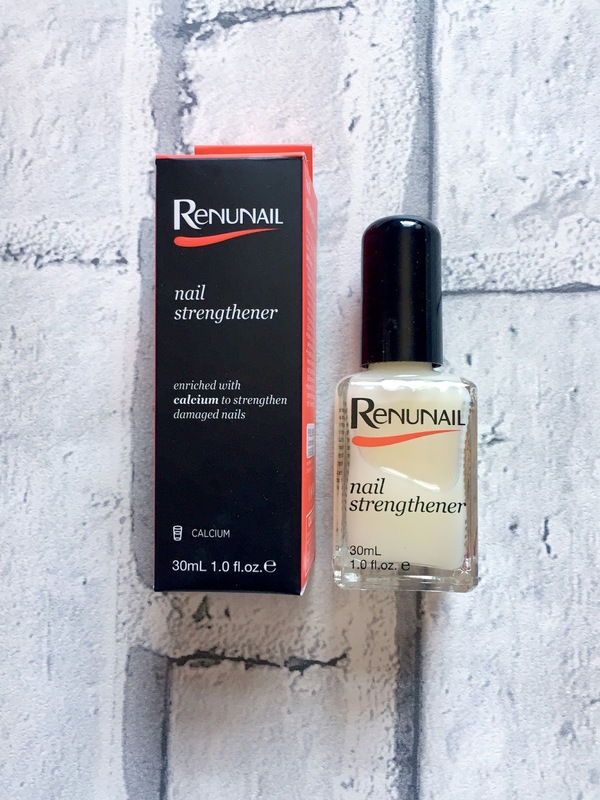 The first thing I noticed about Renunail was the size of the bottle, it is a huge 30ml, nail polishes are usually around 10ml - 15ml on average so this is a great amount of product. 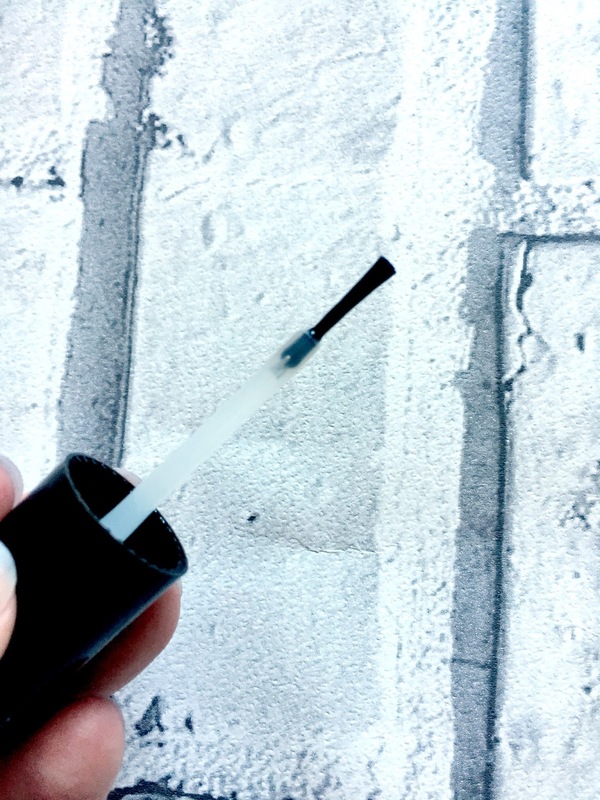 The Renunail brush is what I would call a regular polish brush, in that it is a slim brush and is a little longer than usual. Renunail has quite a strong scent to it and smells rather chemically, but don't let that put you off, it isn't anything I couldn't deal with and something I got used to. The product is very easy to apply and paints onto the nails like any other base coat or nail polish, it is thinner in constancy than nail polish and I found it dried quite quickly and had the appearance of a clear nail polish. I followed the instructions and applied 2 coats of Renunail on the first day and then 1 coat for the next 5 days and then removed it on day 7, the main difference I noticed to my nails after week 1 was that they had grown like wildfire, I couldn't believe how much they'd grown in just a week, so much so I had to file them down before applying the 2 coats for the start of week 2. In the photograph above, I had just applied 2 coats of Renunail on day 1 of week 2, you can see how I had filed my nails quite short, they were so much longer before filing them. 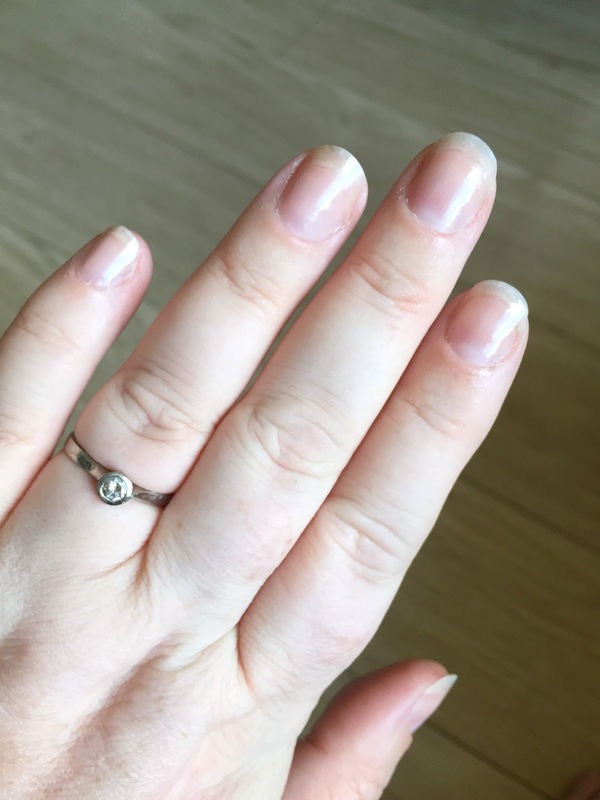 Once I had removed the Renunail at the end of week 1, I filed my super long nails down and began the process again, I did notice my nails didn't feel as weak as they had and none of my nails were peeling or splitting either. I finished week 2 and again my nails had grown dramatically, I repeated the process until I had finished the 4 week/around 25 days course of treatment. When I had finished the full treatment course my nails looked and felt so much healthier, they felt a lot stronger, I didn't have any peeling or splitting at all and my nails were super long, once again I had to file them down because they were too long. 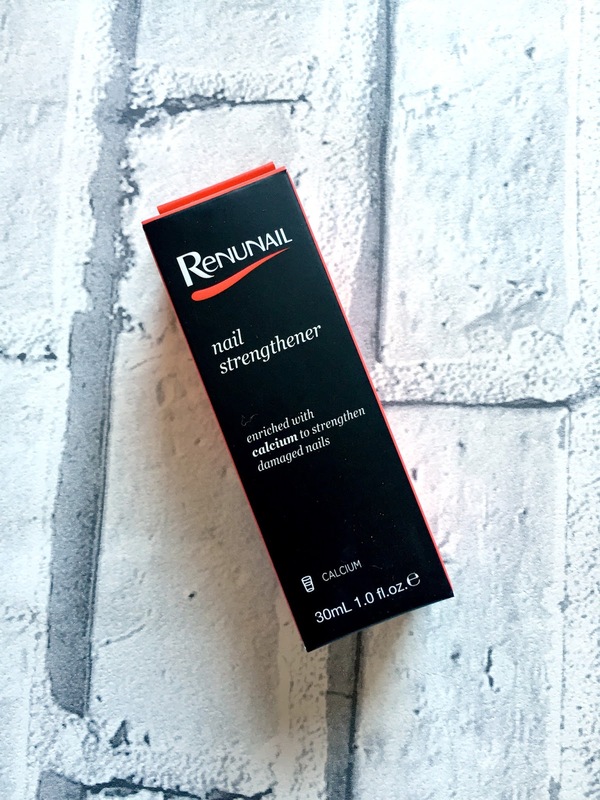 I have tried many nail treatments over the years but Renunail is by far the best nail treatment I have tried and I am extremely impressed with the results I have had since using it. Renunail can also be used as a treatment after removing acrylic nails and I think it would be brilliant as acrylic nails really do weaken the nails, I haven't had acrylic nails for many years but my youngest daughter has them regularly and if ever she has a break from them, her nails are paper thin and very weak, the Renunail will be fantastic for her next time she has a break from the acrylic. But if like me you like to use a gel polish that leaves your nails feeling weak, peeling and brittle, or your nails are just weak and break easily, or if you're trying to grow your nails, Renunail would be ideal for you. I am really pleased with the results and I will continue to use Renunail as my base coat and as a treatment throughout the year either when I have used a gel polish or when my nails are in need of some strengthening or are short from breaking and I want them to grow, I honestly couldn't believe how much my nails grew whilst using the Renunail, it's amazing and I would highly recommend it. Have you tried Renunail? Do acrylic nails or gel polish leave your nails feeling weak?